New Trend: The Aviator. cowbiscuits | UK Lifestyle, Style and Beauty Blog. : New Trend: The Aviator. 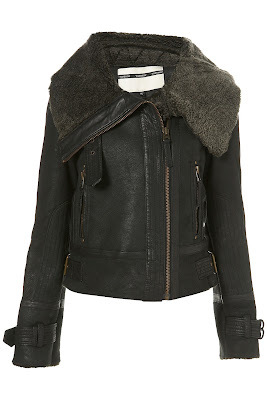 Now, I've seen on a couple other girlies blogs these wonderful Aviator jackets included on wish-lists and so on. I actually saw one and gasped with joy at it in the Next catalogue the other day - now I can't get them off my mind! I NEED to have one for the Autumn/Winter and although none of my choices are cheap, they are definitely investment buys! Also I'm not sure how I'd feel about real sheep skin. This is my favourite and faux sheep skin. I can't stop thinking about how badly i want to spend £110 on it! This is the one I gasped at! It's great if your on a budget to keep on trend, still great quality and great look. What do you think will be huge for A/W '10? I'm exciting seeing all the stores previews but I'm not wishing Summer away just yet! aww thank you for the wonderful comment :) i love leather aviator jackets i have one from primark that i have had for 5years that has a massive hole in the arm but i cant bring myself to get rid of it! :) head over to my blog and be part og my giveaway! 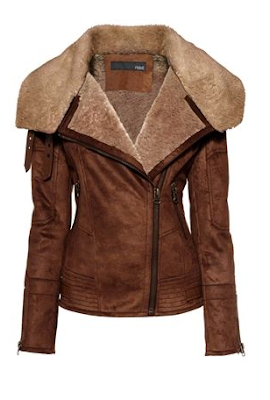 I want an aviator jacket! nice post! do want! makes me look forward to cooler weather! thanks for commenting my blog, :) i will be forever jealous of you if you visit jim morrison's grave. you lucky girl! take lots of pics. I have been wanting an aviator jacket, also. The second one is my favorite! Considering the Burberry's aviator is over £2000, nearer £3000, I think you did well on prices, some of these aren't far off theirs. I want one so bad, bring on winter! I have one I didn't know it is a trend now. I'm happy, finally I haven't give to charity sth that I didn't use and it comes back in fashion. Thank you for your nice comment on my blog. Lets be blogger followers and share fashion tips. avaitor jackets are a must this winter! i know what you mean about them being so expensive, i'm hoping zara will do a version because their styles always look chic and last for ages. Pin Cushion + New Fabric. Nyx Cosmetics - Foundation Review. Elle Magazine UK = Sweethearts!